Balance. Some people cringe at the word, but regardless, it’s a real feat for some of us to find and keep balance in our lives. Balance has been on my mind recently because with winter changing to spring, there are so many changes coming on pretty fast. I also had do downshift from higher gear to a lower gear to achieve some healing. I had a dental procedure and due to a previous injury, there was a lot of swelling and infection, plus my dentist felt some was due to an allergic reaction. We had no idea what I reacted to, but nonetheless it was painful and took me out of commission for a little over a week! When something like this happens, when we experience shifts and changes in our lives; which is pretty much all the time, we learn and find ways that help us. When we go from one season to another, deal with illness, move to a new home, change careers, are having difficulty with a number of issues, then, we are in constant search for balance. Perhaps it’s our heart and soul that seeks balance, but our minds need it even more! When not feeling balanced, so many things can affect us in a more negative way, instead of feeling the flow of positive energy that comes when we’ve found the way to have balance with less effort; once it comes more easily for us. I’ve learned how to do this in so many ways that help the balance flow easier and easier for me. I am often reminded of pain in my body, but with meditation, creating balance, peace and sacred space in my life and surroundings, I find it easier to deal with the physical pain, problems and issues that occur. Our minds can be tuned into thinking positive thoughts to help us everyday. I feel much better when I stay positive and upbeat. I know we will not always feel that way, but we can learn how to do this so the good energy flows easier and more constant in our lives. Some ways to do this are by taking time out, everyday, to sit and do nothing. Turn off all the clatter going on in your mind, stop the noise. In the beginning, you may be able to do this for only a short time, but with practice and patience the time will grow longer. Sit quietly in a place you enjoy or find comforting. I love to sit outside on our front deck swing or on a moss covered spot at the roots of a tree in the woods or perhaps a window seat or spot indoors where it’s quiet. Look around, take in your surroundings, breathe. You can close your eyes if you like. Slow down your thinking process, leave it at your feet or at the doorway, you can pick it up again later on. If it helps, think of one word. I like to use “peace” or “love” or “breathe.” This helps you to slow down the noise in your head and center on just one thing. I release the tension in my body, let go of holding on and holding in life’s daily thoughts, that can rob us of peace. If you cannot do this everyday, try doing it when you can, but I urge you to try to set aside some “you time” everyday if possible. The balance and peace that follows is worth every minute of it. Balance is about filling your life with more than just problems and drama. We will have those things in our life, so taking time to create peaceful moments, happiness, sacred space and be mindful of what robs us of these positive things is very important. By doing things I love, that feel good and lifting myself up above negative thinking, I have found balance in my life. When physical pain tries to bring me down, I remember to do what feels right and listen to my body. When others around me try to tell me my way of life is wrong, I remember my heart and what stirs my soul. I spend time in the garden, grow some of our food and herbs, laugh often, spend time doing what I love, walk in nature, surround myself with people filled with love, hug my children, my husband, my dogs and talk to my birds and plants. When we find what makes us feel good and happy and not allow negative energy to steal away these things from us; then we have found balance and it’s easier to maintain balance when we know the difference in positive and negative and how they affect us. 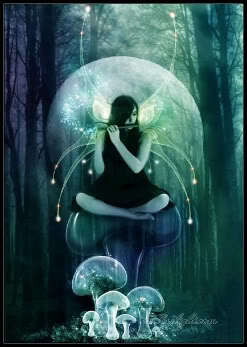 Take time to find out what’s in your life that helps you create balance or what seems to cause you to feel unbalanced. When we identify these things, it helps us to give and take and make positive changes to find and keep the positive balance we need. What’s not working or is taking too much energy or time; let it go, begin to make changes. When it feels good and creates peace and happiness in your life, do whatever you can to keep that great balance! 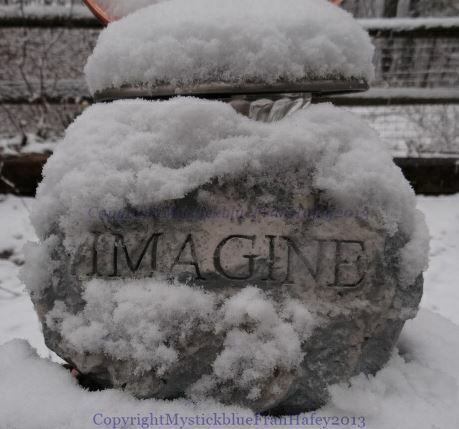 If you enjoyed this blog article, please join or follow me here and/or at Facebook or Twitter. Please take a moment to check out my website, sign up for a Mentoring Session with me or make a donation to help keep Mystickblue.com and my work getting out to all that need it and enjoy it. Please also go to my book page, “A Season of Love,” buying your own copy or getting the e-book (from me, Amazon, Barnes & Noble, etc.) filled with similar articles, stories and helpful information. Thank you so much. Please feel free to leave comments here, they are appreciated. 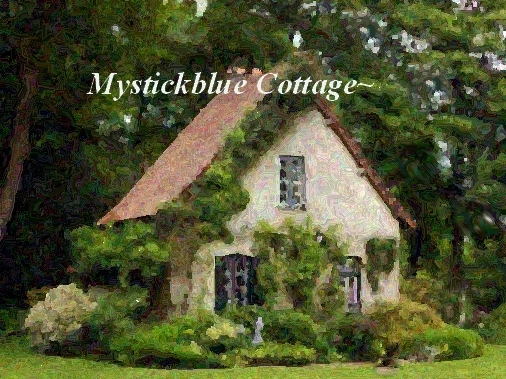 Support “A Moment with Mysti” and “Mystickblue.” How much did you like this post?